← Courage calls to courage everywhere! 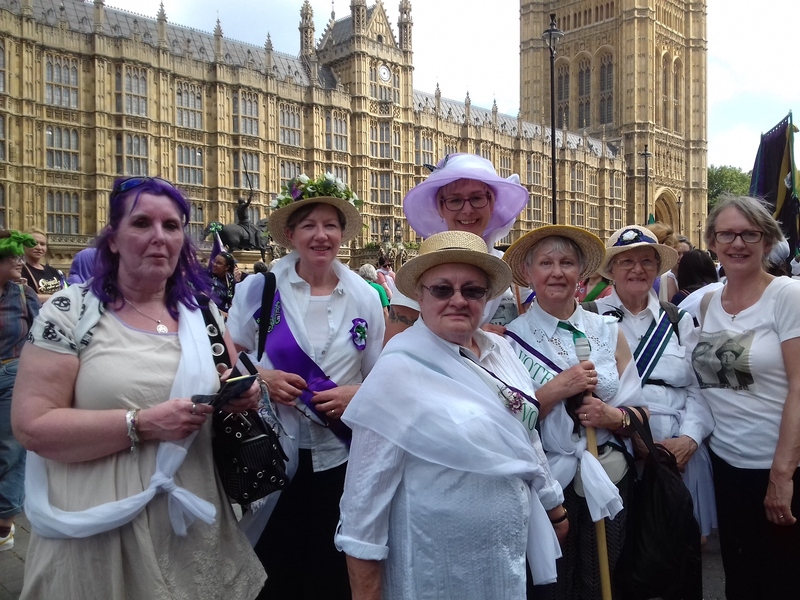 You may have seen on the television on Sunday the amazing site of hundreds of banners being processed in London, Cardiff, Belfast and Edinburgh, all marking the 100th anniversary of some women getting the right to vote. 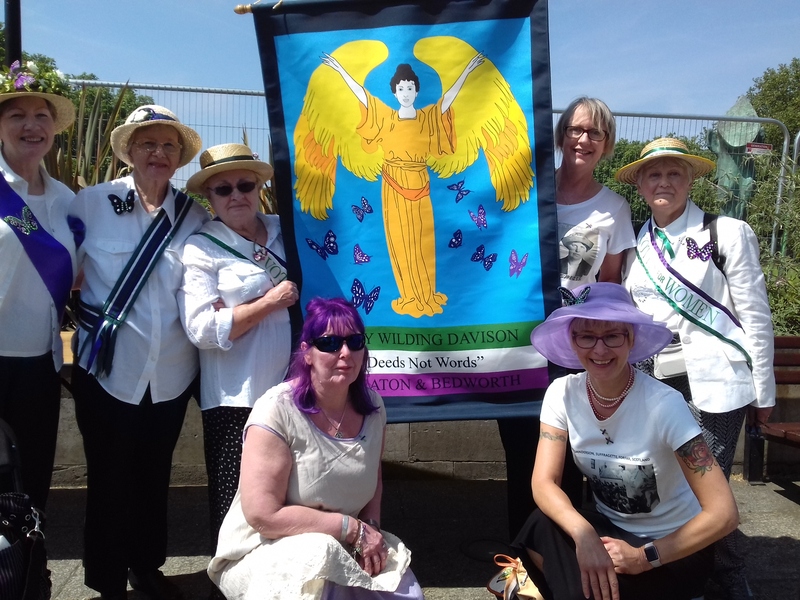 This was all part of the PROCESSIONS project which I blogged about a few weeks ago and I’m very proud say that Nuneaton Museum & Art Gallery and our band of gallant ‘banner creaters’ were part of it! 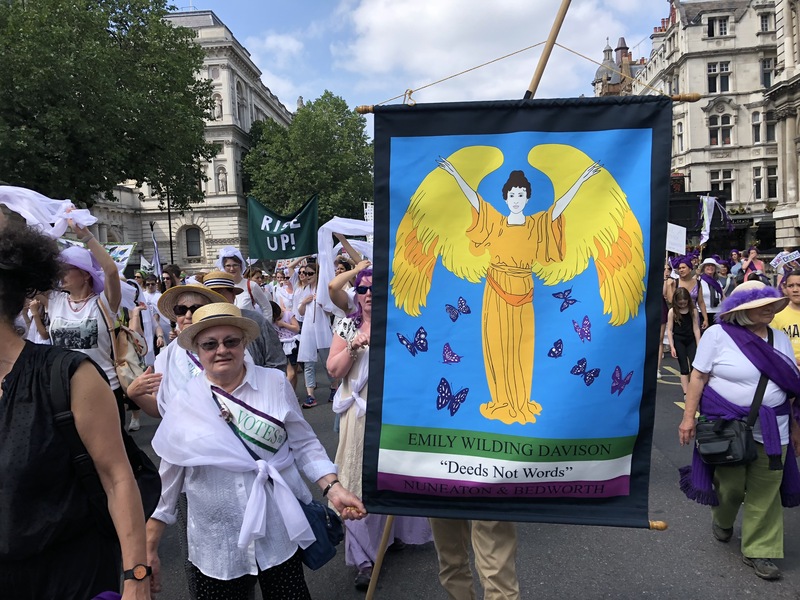 Afer an 8am start and journey to London our beautiful banner, paying tribute to Suffragette Emily Wilding Davison, made it’s way along with 40,000 people from Park Lane to Westminster. It was an incredible experience to be involved in, the banners being processed alongside ours were amazing and additionally there were some deeply inspiring stories associated with many of them. This was certainly a memorable project and my thanks go out to Eileen, Christine, Julie, Ann, Jean, Tracey, Chloe, Ali, Tracey, Beth, Vikki and Jacqueline for being part of the project and creating some history.